Because I wrote about the Senior Photo shoot the other day .. I thought I would follow it up with this particular post. Because I noticed the Senior the other night doing the same thing the Cowboy does. I’ve been meaning to write about this for awhile now because every time I see the Cowboy wearing his pants & boots like this, I think to myself, ‘that would be something fun to talk with him about.’ I’ve never asked him directly why he does it. The reasons, living on the ranch, have become apparent. I’ve just admired, quite frankly that he doesn’t care what anyone might think about how he looks. And it makes me chuckle because some of the men I know, city cowboys especially, would never be caught dead wearing their pants inside their pointy toed, silver tipped (the Cowboy wanted me to be sure and add that element) boots. Not that there’s anything wrong with that ..
Don’t get me wrong, he can dress up with the best of them and his pants are most often worn with the hem dragging on the ground. But the day to day can often mean ripped and dirty jeans haphazardly tucked inside the boots. – Chances are, he/she is walking around horse manure often during the day and they don’t want to get their jeans dirty. – They may want to simply show off the tops of their boots – boots anymore can be incredibly beautiful and detailed, especially those that are custom made. Have you looked at boots lately? Dan Post. Luchesse. Old Gringo. Tony Lama. Justin. Laredo. Resistol. Ariat. Olathe. Seriously, the list goes on and and on.. I haven’t even touched the growing market of custom cowboy boot makers. 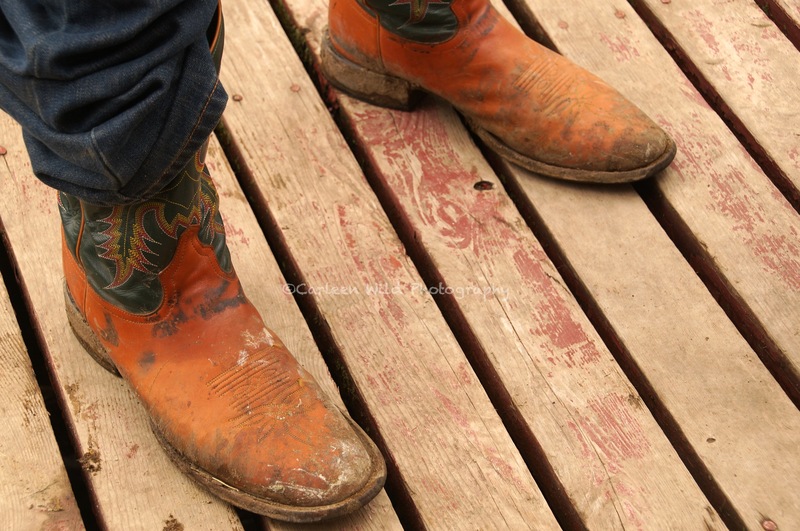 Some do it, real cowboys, like ranch cowboys, because they’d rather have their boots take a beating than their jeans. 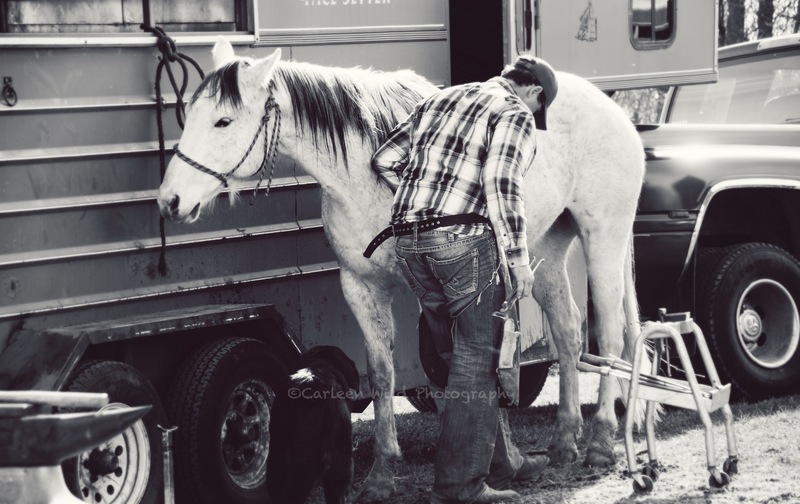 This entry was posted in Cowboy, Cowboy Boots, Life, South Dakota, Why do Cowboys tuck their jeans? and tagged Cowboy boots, Cowboys, Dan Post, Luchesse, Old Gringo, Tin Haul, Tony Lama, Western lifestyle, Why do cowboys tuck their jeans by Carleen Wild. Bookmark the permalink.